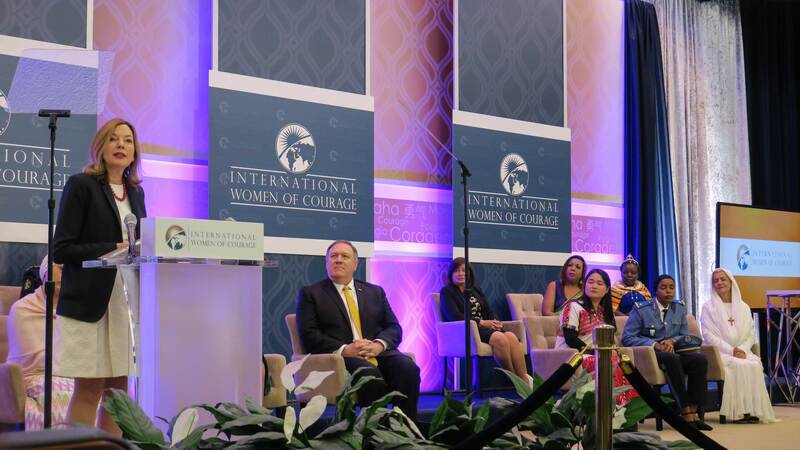 Now in its 13th year, the annual U.S. Secretary of State’s International Women of Courage (IWOC) Award honors extraordinary women worldwide who have demonstrated exceptional courage and leadership in advocating for peace, justice, human rights, gender equality, and women’s empowerment, often at great personal risk. 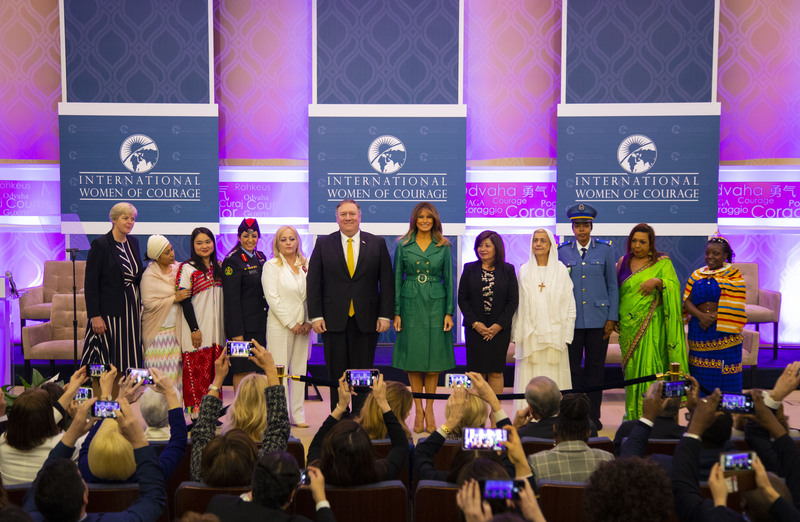 On Thursday March 7, during a ceremony organized by the Secretary’s Office of International Women’s Issues (S/GWI) and hosted by Secretary of State Mike Pompeo and First Lady Melania Trump, the 2019 IWOC Awardees were recognized for their remarkable accomplishments. 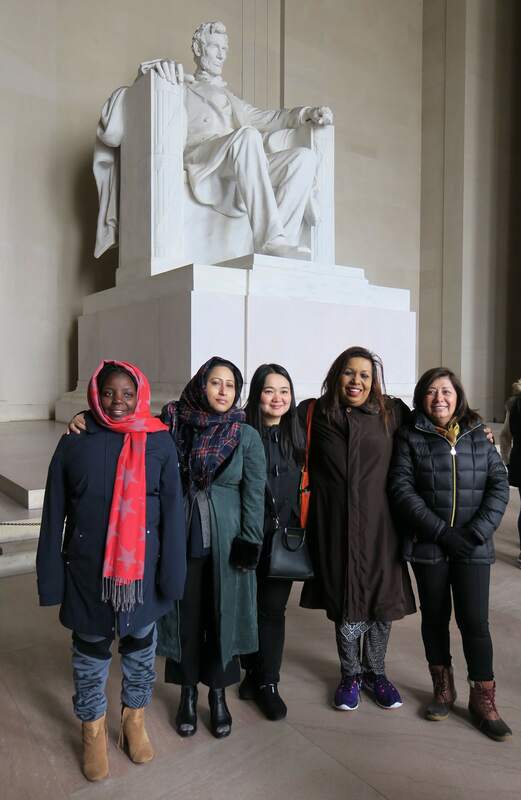 Meridian International Center is proud to have partnered with the Bureau of Educational and Cultural Affairs (ECA) to design and implement a two-week professional International Visitor Leadership Program (IVLP) itinerary for the Awardees. 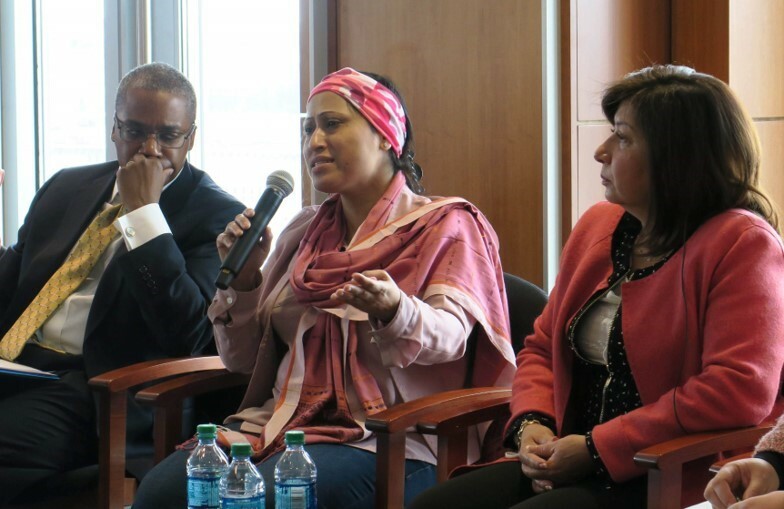 At the start of the Washington program, Meridian helped orient the Awardees to American culture and the U.S. government system and facilitated opportunities for them to speak publicly about their work during a panel discussion at George Washington University’s Elliott School of International Affairs and on Capitol Hill with the Congressional Caucus for Women's Issues. 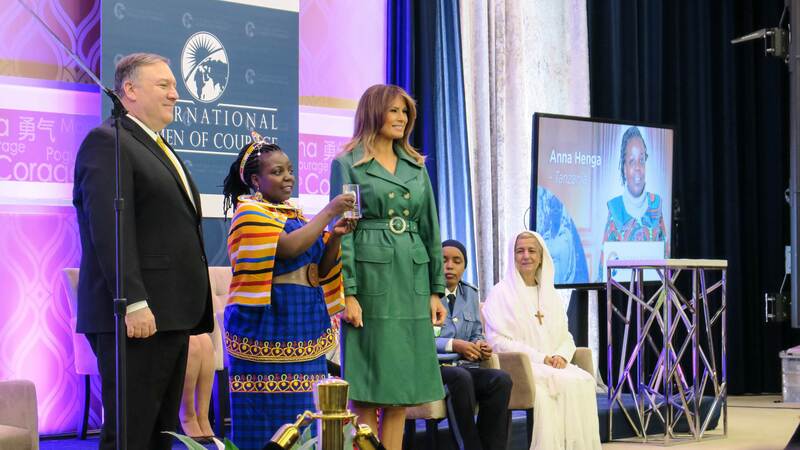 To close the project, the group reunited reunited for two special events and a project evaluation in Los Angeles. 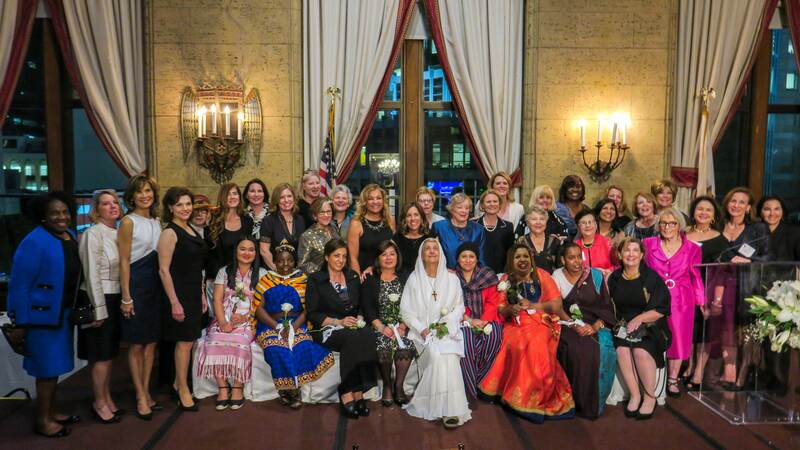 The Perseverance Through Adversity Luncheon was hosted by the International Visitors Council of Los Angeles and the Los Angeles Mayor's Office, while an evening dinner and reception was hosted by the American Women for International Understanding. 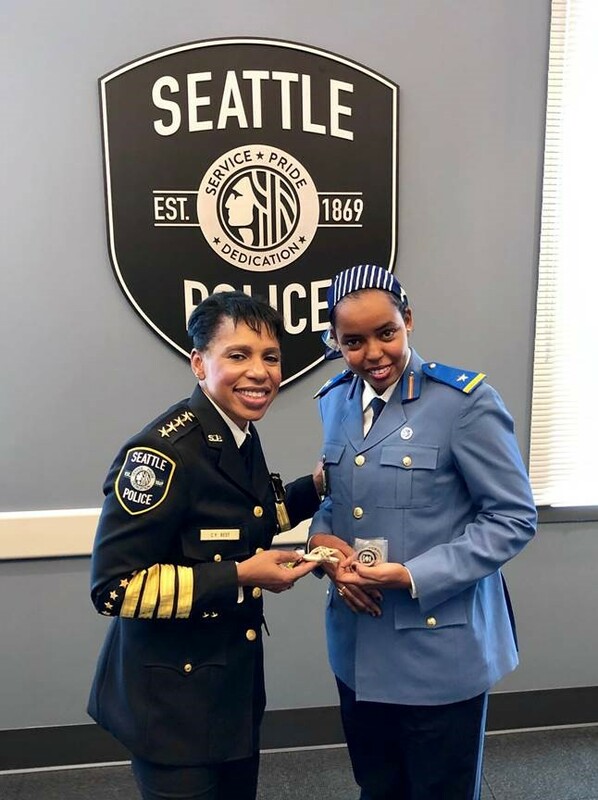 At both, Awardees mixed with community members, told their stories, and received further recognition for their achievements.